The Mitaka KestrelView II is a next generation all-digital 3D microscope. Now featuring maximum magnifications of between 15x @ 1000mm WD and 39x at 300mm WD. Designed to streamline microsurgery by allowing surgeons to work off a full HD screen in 3D allowing them to maintain optimal ergonomic posture throughout surgery. 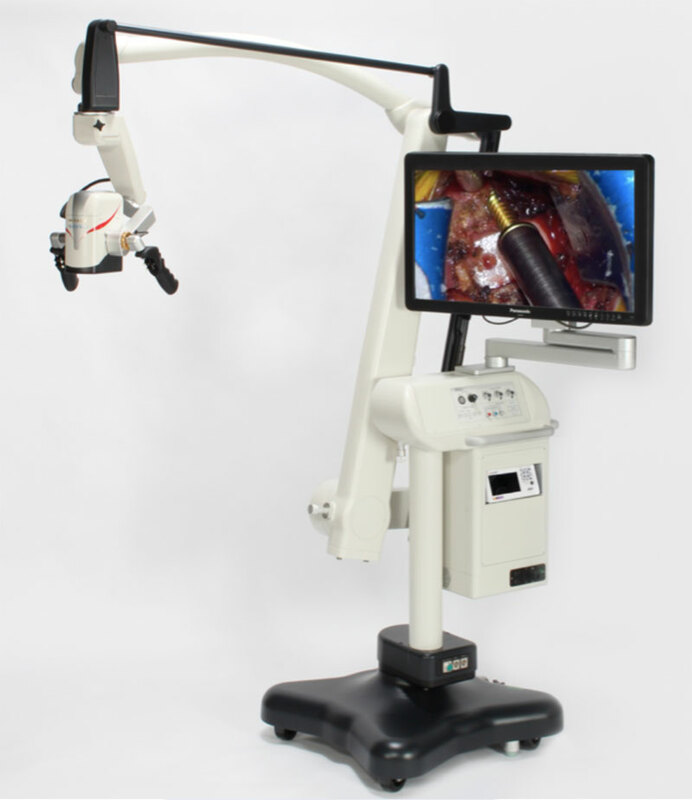 The KestrelView II is operated easily by surgeons who have not had microscopy training and offers those who have trained with a microscope a more simplified way to access the same surgical view. 300-1000mm working distance makes it easy to keep the scope out of the way of large tools or the surgeon’s head. Incredible depth of field resulting from dual cameras. By having a variable working distance of 300mm to 1000mm surgeons are able to operate with KestrelView II optics above head-level and completely out of the field. Surgeons can easily view the unmagnified surgical site by simply looking down. It also allows them to work with large tools without moving or repositioning the scope.